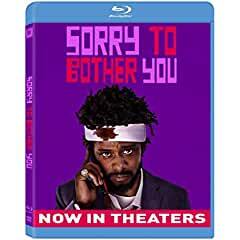 Twentieth Century Fox Home Entertainment presents SORRY TO BOTHER YOU, arriving on Digital and Movies Anywhere October 9 and on Blu-ray and DVD October 23. Expect the unexpected in hip-hop artist Boots Riley’s directorial and screenwriting debut, Sorry to Bother You – an outrageously surreal look at capitalism, corporate greed, and fractured workplace dynamics. In an alternate present-day version of Oakland, California, struggling telemarketer Cassius Green (Lakeith Stanfield) discovers a magical key to professional success, which propels him into a macabre universe.